In Memory Of Our Recently Fallen Exiled Black Panther Comrade, Field Marshall "DC" ; The Safiya Bukhari-Ablbert Nuh Washington Foundation Celebrate's Black History Month & Pays Tribute To This True Warrior For The People With The Following March 31, 1992 Interview Conducted By Our Late Black Panther/BLA Political Prisoner Sistah Safiyah Bukhari. "DC" Was 74 Years Old At His Passing. Long Live The Revolutionary Spirit Of Field Marshall "DC"
Q: Would you tell us a little about your background, and why you joined the BPP? that We were hearing about every now & then at that time. really understanding that that was part of me too. But it didnâ€™t go much further than that. feel satisfied; so i just started leaning back. That was around â€™63. blew my mind. i just felt a total impotence. i felt impotent & frustrated; wanted to do something, but not knowing anything. Really, i wasnâ€™t an intellectual, i hadnâ€™t done any reading, i didnâ€™t even know what revolution meant at that time. the injustices my co-workers & i had been working with all these years. To get them raises everybody deserved & whatnot. understood fundamentally through my work, that it was the system that was all wrong. Black consciousness slowly began to take root in my head, but still i didnâ€™t know what to do. political analysis or understanding really what all those implications were. But i felt good seeing people striking out. an article in the San Francisco Examiner â€“ at the time they showed a picture of Huey Newton standing up there with a gun. appealed to me. But i still didnâ€™t know anybody. was an essay by Huey Newton talking about the correct handling of a revolution. summer of â€™67, he started asking us to deal with anything that came up there in San Francisco where people wanted Panthers. people together that called themselves Panthers, nothing more. neighborhoods every weekend with our guns, giving demonstrations & whatnot. Finally, We reached a point where a few of us felt like, â€œOk, talkinâ€™ is enough, We gotta get down to businessâ€�. Hunters Point the year before. So, if the people didnâ€™t really make the connection, at least the pigs knew what it was about. 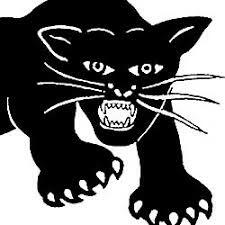 So We did our first action on that anniversary, September 27, 1967.
the Black Panther Party. That was in September of 1967. Q: How did you become the field marshal of the BPP? told him, â€œOkâ€�. Thatâ€™s when our formal alliance began with the Party. dealing with that. So i didnâ€™t have a title yet. field marshal, it was written â€˜undergroundâ€™. Q: What were some of your responsibilities as field marshal? you could buy â€˜em over the counter like cigarettes. So, iâ€™d collect money & go there and come back with trunkloads of guns. themselves against all that police violence. So, my activities at that time really were dealing with things on a military level. correct description, what was itâ€™s structure & chain of command? minister of information: Eldridge Cleaver. though the organization was not a paramilitary organization, in fact, it really had that appearance â€“ initially. robberies, intimidating people & whatnot, but still it was growing like wildfire. things that went down. We more or less managed to keep things under control. was down on the ground floor in the house, they really hadnâ€™t gotten touched. But they blew Lilâ€™ Bobby away outside. within the Black Panther Party at this time? A: Ah, things had really evolved by that time! More or less, the struggle had left the streets and gone into the courts. the name of the Black Panther. communist was based on. But the so-called central committee, and iâ€™m gonna tell the truth, was David Hilliard at that time. along with that, â€˜cause i felt that the party was the only means to deal with that situation at that time. go to the airport to catch the plane. They wanted to get out of New York, as far as they were concerned, it was too dangerous. So, they went back to California, and i stayed in New York. to their case & getting them out. We just took people from all over & put Doug Miranda in charge, and they started with that. organized, they sent their people in to take over. police informer, the police had sent him in to the party, but he showed his hand two or three days after he had gotten there. looking for me, so it was at that time that i split. gave us their old embassy that they had when they were the National Liberation Front. concerned personally i was at war â€“ it didnâ€™t matter if i was in or out â€“ work was gonna continue. gettinâ€™ my false passport! i managed to get it within 24 hours, and i got hat. My only thing was to get away from them. continue to work outside, so really on one level, it was a relief for me. Q: Did you know what to expect, and did you know where you were going? whatnot; i couldnâ€™t understand that, after all they had been through. Q: When was the International Section of the Black Panther Party established, and how did it come about? realize it at the time. So, We created a lot of resentment without really knowing about it. there dreamed of having! It was one of the leading cars that you could have. for not understanding the situation. cultural level, not taking into account the cultural differences â€“ We were ignorant to all that. We were just being ourselves. Q: What were the functions of the International Section? american representatives in Algiers at the time, because the embassy was closed since the war in 1967. Q: Tell us about the split in the Black Panther Party as it developed from the view of the International Section? with them. He just put himself as a â€œlittle-foot Stalinâ€�; he became the Stalin of the Black Panther Party. with that megalomania [of] being Huey Newton, you see? So, in the beginning, everybody was just elated. It was just like when Nelson Mandela when he got released. and a bunch of gangsters - moving on people, using brutality against people - just became bandits. were going to do, discussing all the contradictions & whatnot. We were about 25 at that time in Algiers. to continue, We didnâ€™t want people to think that We were going along with those things. one involving the $500,000 ransom. Can you tell us a little about that one? came along for a ride.â€� So that shows you what level that was on. it was time to get out of there. they didnâ€™t want to have anything to do with the Central Committee. Being a Central Committee member, that meant me too. gonna give that back too. asylum in a non-imperialistic country. How did the International Section respond to this demand? have welcomed anyone there. That wouldnâ€™t have been a problem. wanted out of there, and iâ€™ll explain why. that Eldridge & the hijackers done put out condemning Boumedienne & the Algerian government. i knew heâ€™s done blown it. technical purposes, that was the end, it was just a question now of people getting out of there. international support; less than six years later it no longer existed. How did it feel, and how did this affect you? for the principles We had learned from Huey & Eldridge â€“ that was a hard blow. Really, it was like becoming an orphan. do; knowing that thereâ€™s still stuff to be done, but not knowing what to do. sooner or later, dealing with survival problems! i arrived there in the end of â€™72, by the summer of â€™73 i was all by myself. Q: How have you been able to cope? in Algiers, and the last day was like the first; whenever i went out of the house into the streets, â€œThere goes the american! pressure became so great, that i had to get out of there. foreigners that i had met, Algerians and French alike, were living in France so i decided to leave Algiers & come to France. That was in April 1977. Q: How many Panthers would you say are in exile in various countries around the world? others because it just wasnâ€™t possible for me to know everybody. Q: What does being an exile mean in terms of the impact on your life? the most difficult thing. Being outside of my element, i find survival on an economic level the most difficult thing. things are thousands of times worse today than it was when i was active with the rest of the comrades back in the â€˜70s. Q: What are some of the lessons that you have learned from the last 22 years of struggle & exile? struggles of men wanting to impose their way of seeing the world or protecting their power and oppressing other people. Q: What are some of the concerns that you have now? families, â€˜cause they donâ€™t have the means to have shelter. There has to be shelter, the basic necessities of life for everybody. level. Those are my concerns right now. Q: If you had one gift to give to the youth of today, who are becoming politically aware, what would it be? position to analyze and make decisions, see some of the things that shouldnâ€™t be done. behind it, â€˜cause the situation is terrible. have any thoughts on what must be done? can start moving to get something going to get some relief to the people. The people are suffering! Q: Is there anything else that you would like to say?